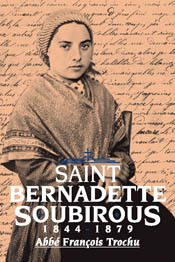 Dimensions: 5.5" X 8.25" X 1.13"
Abbe Francois Trochu is the author of the biographies The Cure d Ars: St. Jean-Marie-Baptiste Vianney and St. Bernadette Soubirous. His work on The Cure d Ars was originally published in 1927 by Burns Oates and Washbourne. In this definitive biography, Abbe Trochu compiled a great number of extraordinary facts about the saint, based on his life and vocation. It was written using the records and documents of the Church as a guide, and presented with a vivid and accurate picture of one of the most beloved saints of the eighteenth and nineteenth centuries.